As of now you can find us at our new facilitiy at Renstallweg 31 in Merano. We are very happy to have our longstanding partner “Ludwig Kameraverleih” moving into the same building. The “Filmwerkstatt” is right next door – which gives rise to a little media center right in the middle of Merano. At our facility in Merano near Bolzano, Italy, you will find all types of professional film equipment: film lighting & dolly grip. E.g. 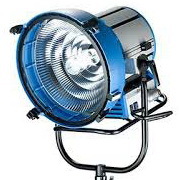 spotlights (HMI, Daylight & Tungsten), Kino Flos, LED-Lamps, stands, ultra silent generators, camera dollies, and much more. If in narrow alleys or on difficult grounds, our Medina cart is the ideal transport companion for every location. It’s tread and loading bed can be adjusted easily… equipment can be lashed down fast and secure and it has a perfect centre of gravity. New stuff at Maier Bros. – rare in Italy. The large 72″ Ronford-Baker Slider. 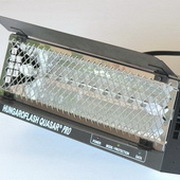 Perfect for soft, floating, horizontal camera movements. The whole unit can be rotated 360°. 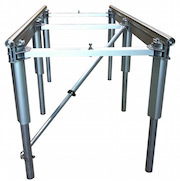 The Slider provides extremely high precision at maximum flexibility. 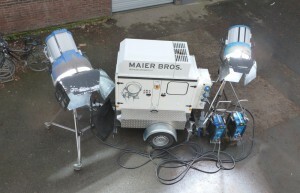 Just in time for the season the first Arri M90/60 arrived … so if the vernal sun is missing every now & then you’ll find a potent alternative at Maier Bros. with the new M90/60.